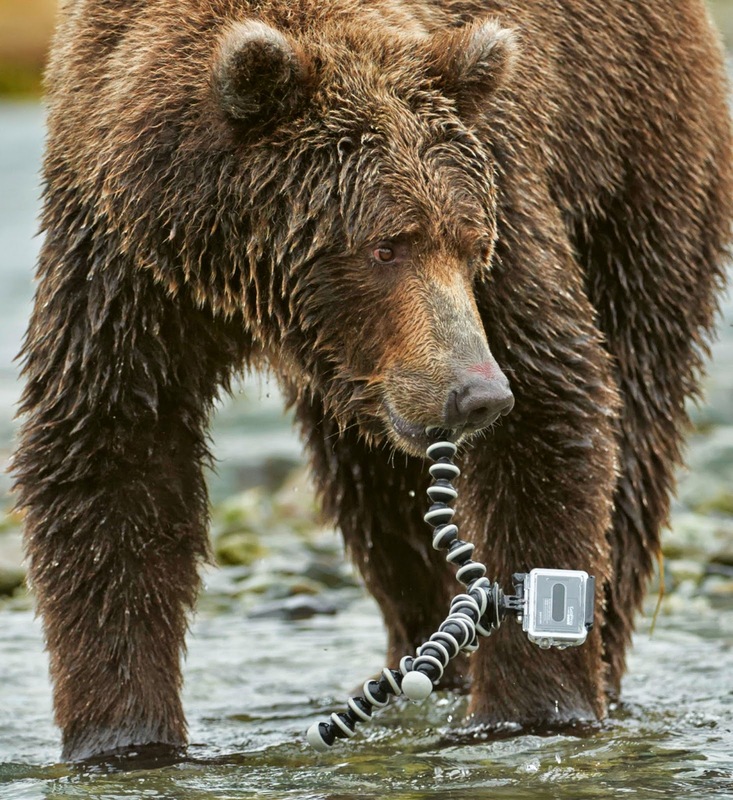 When a grizzly bear approached his brand-new GoPro camera on an Alaskan river and began eating it, wildlife photographer Chris Weston was excited for the potential rare footage but concerned whether he’d ever see it. “I was crossing my fingers and anything else I could cross in the hope that the camera was still recording,” Weston told CatersNews Agency in a story released Wednesday. “It then occurred to me that there was a good chance I wasn’t going to get the camera back. Weston had purchased the $500 GoPro camera to help film a documentary on wildlife in the U.S., and was there with fellow photographer Monique Brignoni, among others. He had placed the camera in shallow water to record footage of bears chasing salmon, but this bear became intrigued by the GoPro, possibly because of the flashing recording light. “When we viewed the footage back on the boat, the entire crew, who had experience with working with the BBC, were whooping and hollering with amazement,” Weston said. “Working with bears over many years, I have had many close encounters but never something quite as ‘up close and personal’ as this. But it's not just the big food factories that fiddle with our foods. Farmers also use a vast array of techniques and chemicals to increase yields and to counteract the diseases that result from their interference with natural growth.